1) You can rent a whole villa of 400 sqm with swimming pool and garden of 5000 sq.m. 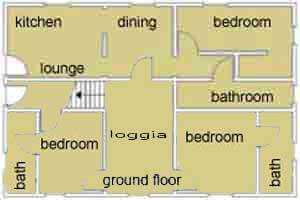 2) The villa is on two levels and is divided into apartments and rooms to allow guests and family groups to maintain their privacy. 4) This villa is located in the countryside in a reserve with many wild animals but only 700 meters from the main road connecting Volterra to Colle Val d’Elsa. 5) Easily, you can visit cities such as Volterra just 12 km, San Gimignano 15 km, 17 km Colle Val d’Elsa, Siena just 45 minutes and less than an hour Florence. the sea is then about 40 minutes. 10) Another important reason is the great discounts that we offer these days for the latest free weeks, discounts of up to 600 euro !!! In June, we still have available the week from May 30 to June 6 and the June 6 to 13 to rent our villa in Tuscany.For these two weeks we offer a discount of 900 euro a week then you will pay 2000 euro low season instead of 2900 Euros. In July we have 4 days off from June 30 to July 4, the price that we apply is medium instead of high seasonJuly 11 to 18 and July 18 to 25 we have 2 weeks off where we will make a € 100 discount per week and 300 euro discount for 2 weeks. 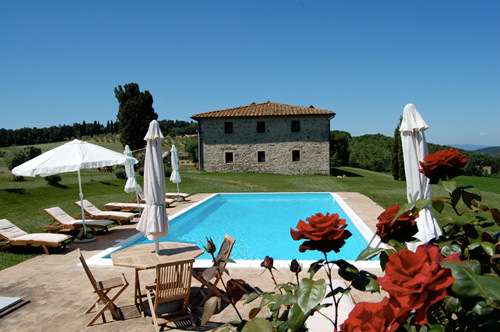 For 15 to 22 August latest week offer 100 euro discount for renting the villa Tuscany! 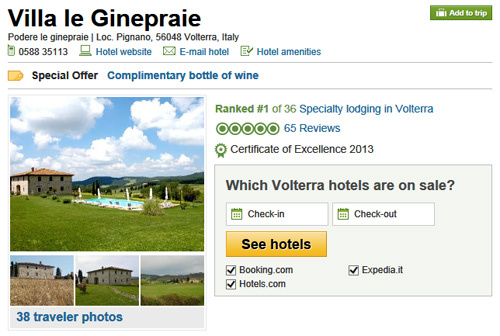 Today we are publishing two reviews on Tripadvisor just left written by our guests. A big thank our guests for having written these two lovely reviews …. 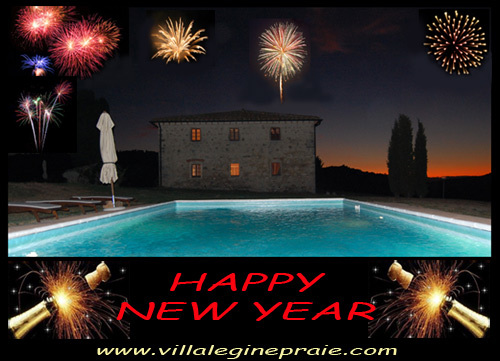 We are now accepting reservations to rent our villa in Tuscany: book now the House save from 100 to 300 euros! 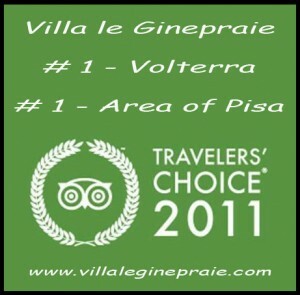 Even the choice of the 2011 Tripadvisor travelers went to our Tuscan villa. 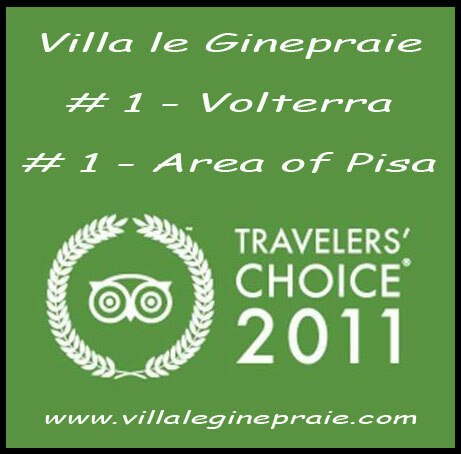 For the 3 rd consecutive year we are the first of 27 houses in the tripadvisor ranking for the category villas and other accommodation in Volterra. 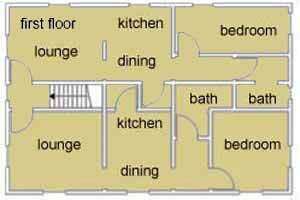 Villas and other accommodations in the class throughout the province of Pisa. We are also, with great satisfaction, got the first of 177 houses also with regard to the broader category that includes villas and other accommodations throughout the area of the province of Pisa. 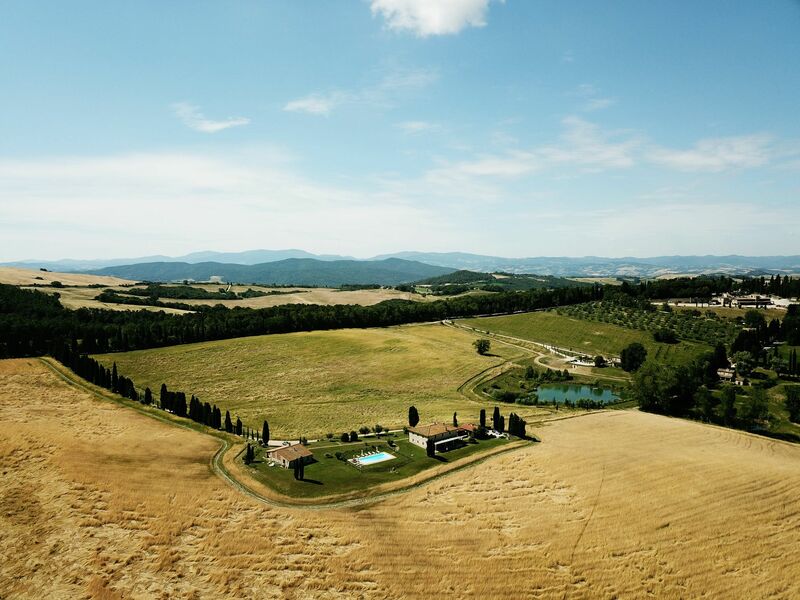 Regarding the ranking for the region of Tuscany, our villa with swimming pool is the square of 50 on the 2166 Tuscan farmhouses, villas and other accommodation in the category in Tuscany.